Hi, Greetings from India! Kindly open attachment for a picture of 5 month old TROY. Troy is our answer to security and friend when we moved recently to our new house in the outskirts of town. As our first pet, he is the most pampered member of the family and we are yet to learn about him and his kind. At present he is under training and responding well. Our vet calls him No. 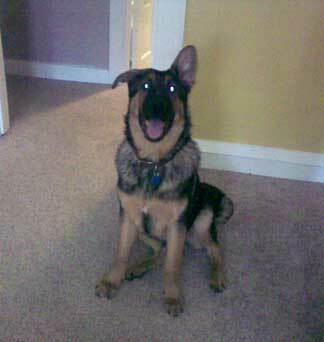 1.
i have a german shepherd the same age!!!!!!!! !